Big changes and announcements always rock the boat. Sometimes in good ways, too. But all too often, executives wish there was an option to communicate the change (in a positive light) to everyone who will be affected. This is why there are change management plans. If you’re a change manager, you know that communication is just one piece of the rollout puzzle. Defining the benefits and charting a path to where those benefits become reality is hard work. However, an effective plan poorly received can wreck an entire project. Likewise, the better you convey your goals and all of the changes entailed—the smoother the process goes. These are all things you know, undoubtedly. This post is to help you discover the potential of using video in your change management plan. Getting the leaders in your business or organization to own the messaging of your upcoming change is great. Sponsors of change will be instrumental, but memos and press releases aren’t the most personal touch. On the other hand, adding a video that clearly lays everything out in a way that “rallies the troops” can serve in conjunction with change agents within your organization. There are lots of things to be addressed, but we’re not talking about that. How about an epic historical example—the Infamy Speech. President Roosevelt was about the enter the United States into WW2, and it was no small change. Up until that point, the U.S. had little involvement militarily. It’s important to note a few similarities between this huge change and just about any other big agenda push. Plans Were in Place: The speech came immediately after the need for change was made evident, but plans and contingencies were all lined up before those who needed to hear the message heard. Key People Were Ready: Do you think that this speech was the first that the top brass of the military heard of going to war? Of course not. All of the leadership was briefed and ready to follow up the change taking place. Action was Imminent: With or without the big speech, the war was happening. Troops were already in motion. Targets were being laid out. Equipment and vehicles were being fueled up. So, Why Give a Public Speech? Because, it’s called the Infamy Speech, not the Infamy Entrance into WW2. A video is the keystone of a healthy change management plan. Much like Roosevelt’s speech, it can be used to calm the fears of those affected, communicate key reasons for the change, and motivate everyone to rally around the cause. Interesting fact, two-thirds of the speech was describing the reasons for needing to enter into the war in vivid (and even graphic) detail. There is a reason for this much real estate being given to these details. People hate change, especially when that change is going to war. The U.S. had WW1 still firmly in its memory and wouldn’t want to rush into another. 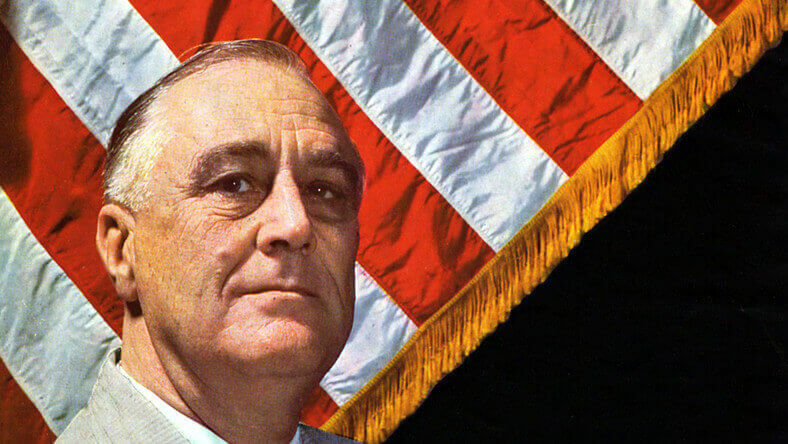 After spending the majority of the time explaining the necessity of entering the war, FDR then transitions quickly into the promise of action (and change). There are very little details given as to the inner workings of the announcement. This is the shortest part of this short speech. Congress and the military will handle the details (aka your leadership and change sponsors). This is to convey the need, a description of the change, and motivate acceptance (which we’ll get to in just a sec). Key Point: Understand that this isn’t a meeting where you’ll lay the entire change plan out to all parties. It’s an address. An announcement that things are happening and why they have to be done. If the video has done its job, your people are in a place of understanding. But they are very uneasy about the upcoming changes. It’s time to bring everyone together under the roof of your new initiative (or big transition). Don’t Shy Away: FDR mentioned the dangers that lie ahead. Focus on People: The resolve of the American people was highlighted and held to a high esteem. Key Point: Apart from explaining exactly why the change is needed, this is the most important reason to have video as part of your change management plan. Getting everyone on board may not be possible, but far fewer will resist if they simply understand what is required of them. At the start, FDR presented the need for change. He followed it up by highlighting (briefly) the change that would occur. He then attempted to bring together a shocked nation. But then, everyone got to work. At the end of the speech, President Roosevelt called on Congress to make an official declaration of war. A video giving a formal address of change won’t do the hard work for you. However, when done correctly, it can make change more understandable to those affected. And it can even motivate them to put their own effort into making the change, resulting in adoption or acceptance.